Want our “oh so popular” Magic Monday Tips? 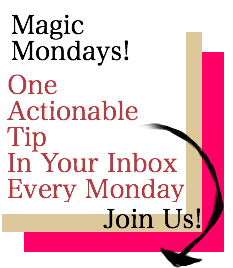 I’ll send you one short, actionable, magic tip that you can implement right away every Monday. You’ll also get updates to new book marketing blogposts in the same email. Just enter your email below!